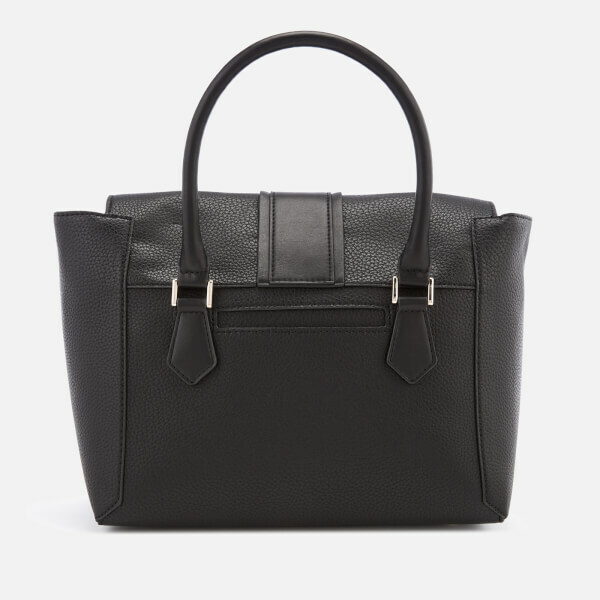 Satchel-inspired tote bag by Guess. The ‘La Hip Flap’ is made from pebble textured faux leather with a magnetic fasten front flap. 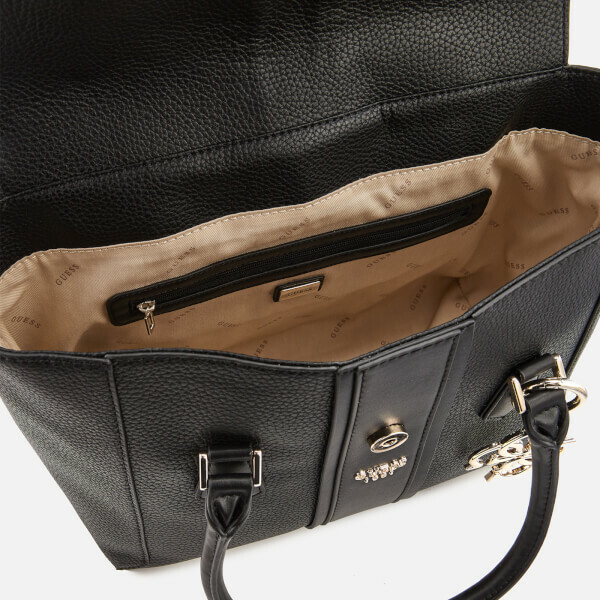 The lined main compartment contains a zip and three slip pockets inside. Two, rolled grab handles and an adjustable, detachable shoulder strap offer cross body wear. 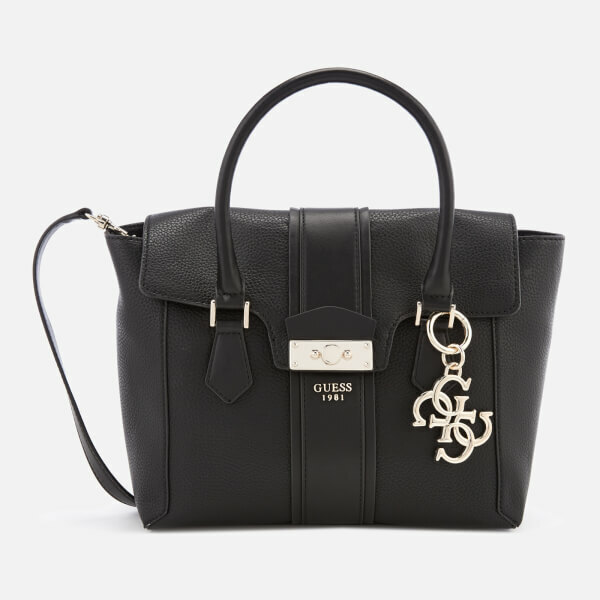 Enhanced with touches of gold-tone hardware in the form of the brand’s Quattro G-diamond of interlocking “G’s” as a charm and a brand plaque of Guess 1981 (the label’s founding year). Dimensions: H: 22cm x W: 28cm x D: 13cm. Handle Drop: 8cm. Strap Drop: 57cm.